The boycott was held amid ongoing contract renegotiations with Aramark, whose contract with the college is set to expire at the end of this year. Barnard No Aramark—a group that is dedicated to pushing Barnard to end its long-standing partnership with Aramark—set up posters and distributed fliers in front of Barnard’s main gates urging students to forgo all Barnard dining locations—including Hewitt Dining Hall, the Diana Center Cafe, Liz’s Place, and Peet’s Coffee—for the entire day. The boycott, however, was largely symbolic as currently all Barnard students have already paid for a meal plan, as required by the college. 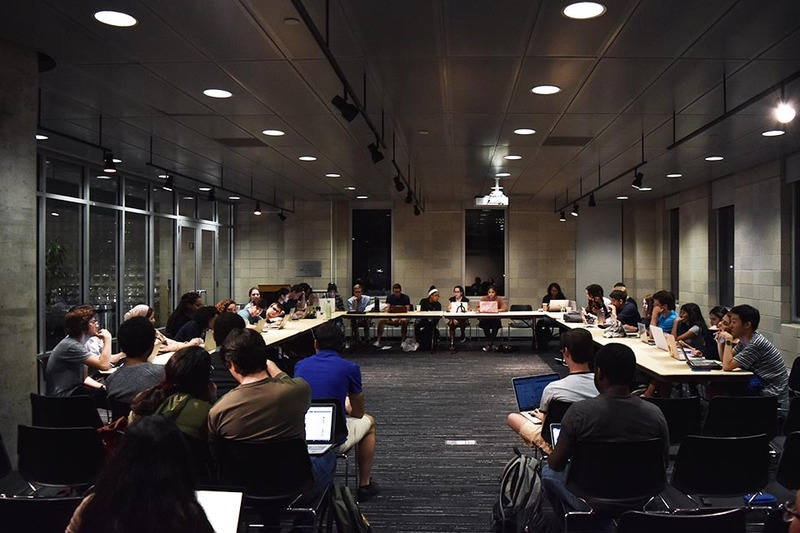 The boycott was held amid ongoing contract renegotiations with Aramark, whose contract with the college is set to expire at the end of this year. 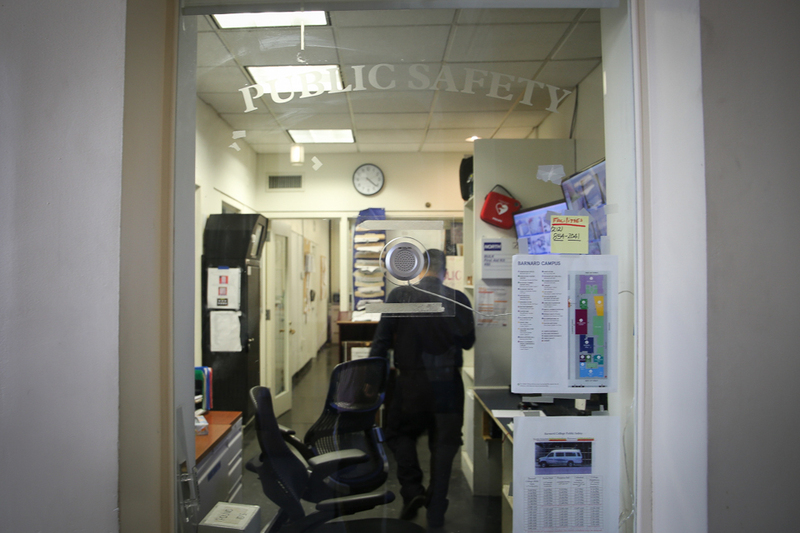 Activists have seized on this opportunity, which could potentially result in Barnard switching to a new food service provider for the first time in a decade. A search committee headed by Chief Operating Officer Rob Goldberg, in collaboration with JGL Foodservice Consultants, is currently soliciting proposals from other providers and will announce the new contract in March 2019. Specifically addressed to Goldberg and Barnard’s administration, the petition cited Aramark’s past scandals and allegations of misconduct, including involvement with private prisons and serving maggot-contaminated food to prisoners, as sources of concern. 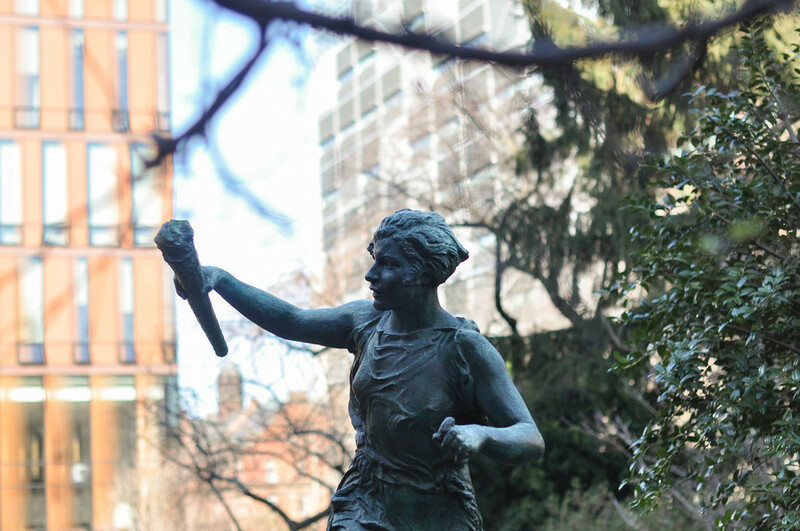 The petition further alleges that Aramark’s misconduct is incongruent to the values of Barnard’s student body and Barnard’s ongoing commitment to ethical consumerism. In a statement to Spectator on Nov. 1, Goldberg said that the administration is soliciting student feedback on current and future dining operations, though he did not directly address the boycott. 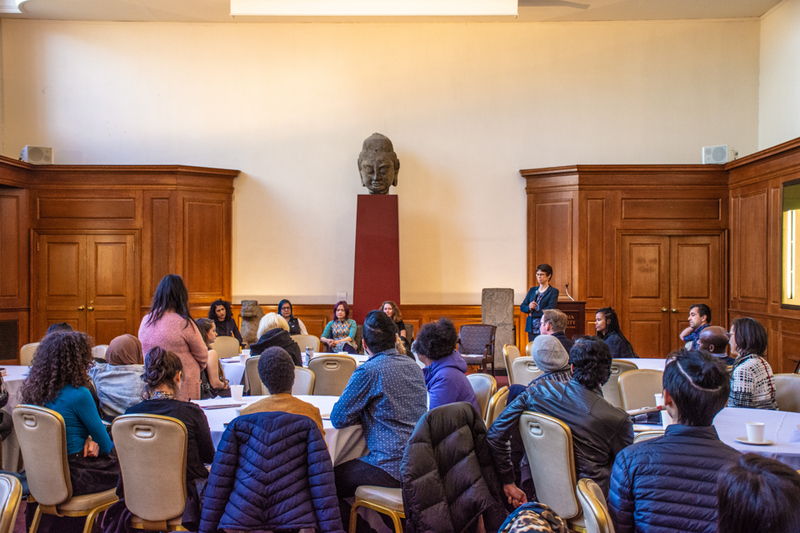 Nisha Aggarwal, CC ’20, said that the demonstrations on Wednesday prompted her to reassess her patronage of Barnard dining halls and sign the petition. “I didn’t know about any of [the allegations against Aramark] before … and when I heard about it, it was definitely really horrifying. It made me rethink eating [at Barnard] in general. … In the future, I’ll consciously try not to eat there,” she said. Barnard No Aramark also called on Barnard to provide “food that is fresh, locally and ethically sourced, and affordable” in the petition, specifically advocating that the college switch its food service supplier to Columbia Dining. According to Columbia Dining’s website, approximately 54 percent of all food served in Columbia dining halls is purchased from vendors within 250 miles of the Morningside campus. 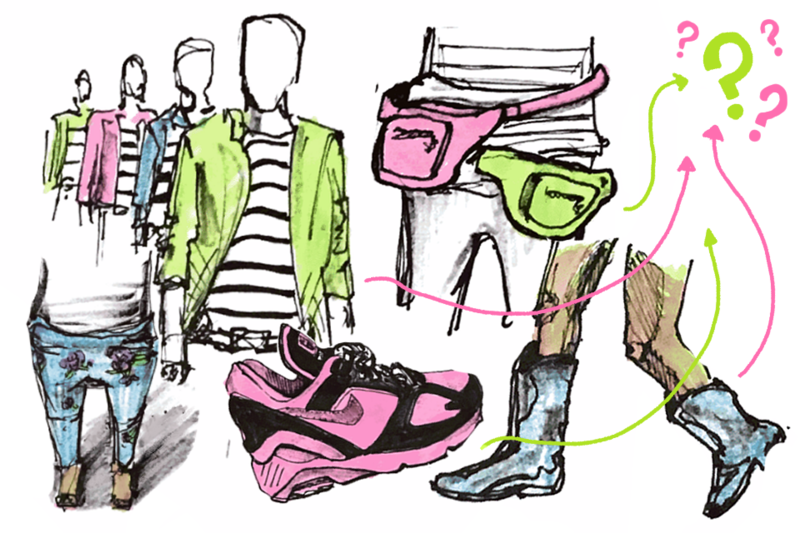 According to Tanisha Aggarwal, BC ’20, a lead organizer of Barnard No Aramark, the campaign aims to channel student voices and hold Barnard to its previously established commitment to social justice and standards of ethical business practices. 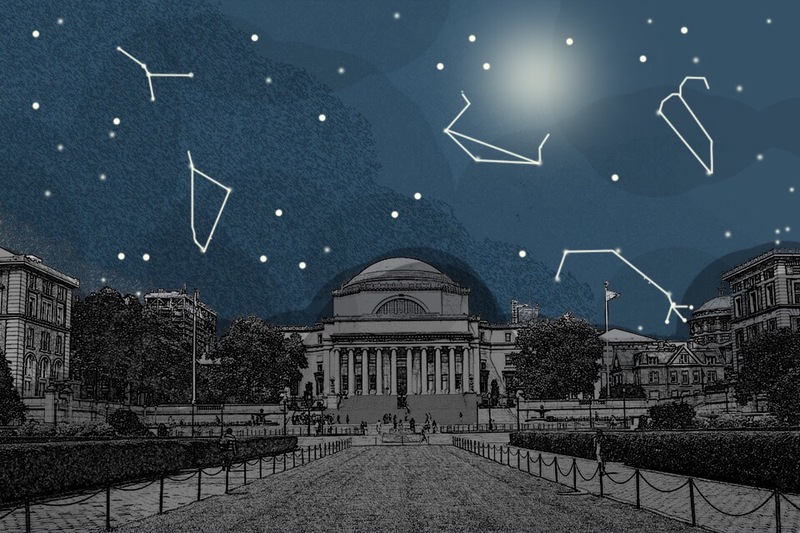 Andreea Calin, BC ’22, a member of Barnard No Aramark and organizer of the boycott, said she hopes the petition will encourage the Barnard administration to take student opposition to Aramark into consideration in its search for a new food provider. “It’s really important to get written support from the student body for the campaign. 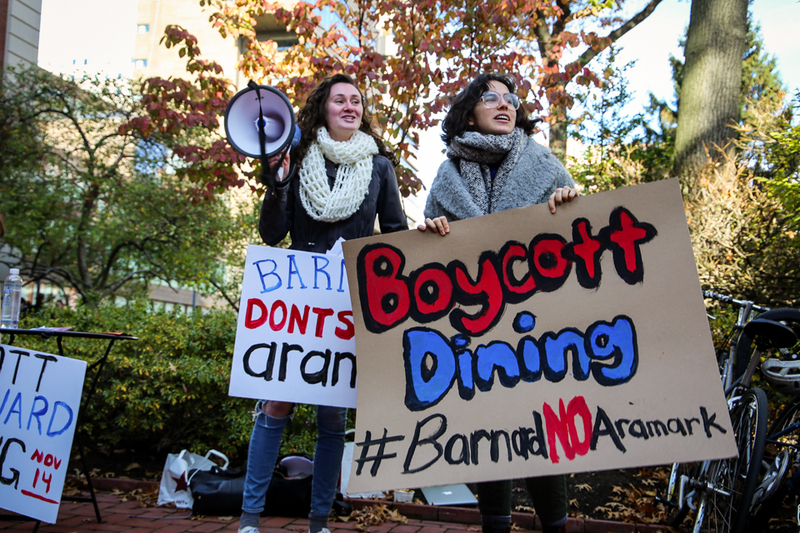 … And since the students won’t be the ones making the final decision about which dining company [Barnard will contract with], this is our one chance to have our voices heard and to ensure that the administration knows that students won’t tolerate Aramark anymore,” she said.